Dollhouse Maileg House of Miniature. 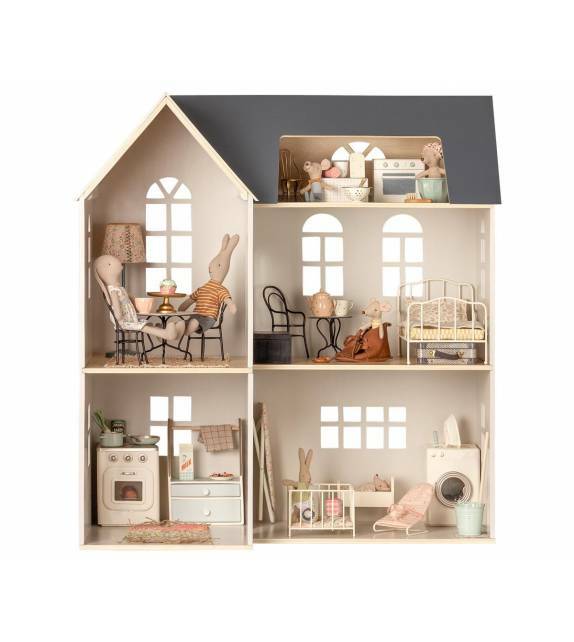 Exclusive wooden dollhouse. Perfect for mice, bunnies and all your Maileg friends. Personalize with your favorite Maileg furniture. Comes flat packed and is easy to assemble. Maileg Vintage Bed Mini. Let your Maileg friends have a sleep-over in the offwhite vintage metal bed. It comes with blanket, mattress and pillow. Maileg Retro Kitchen Powder. Whats for dinner tonight? Retro metal kitchen in a beautiful powder color. Includes kitchen utensils for imaginary play. Maileg Cooking Set. Playfull stove box opens up to reveal everything you need to cook a perfect imaginary dinner. The set includes a pot, pan, colander and utensils. Locker Powder with 3 hangers Maileg. 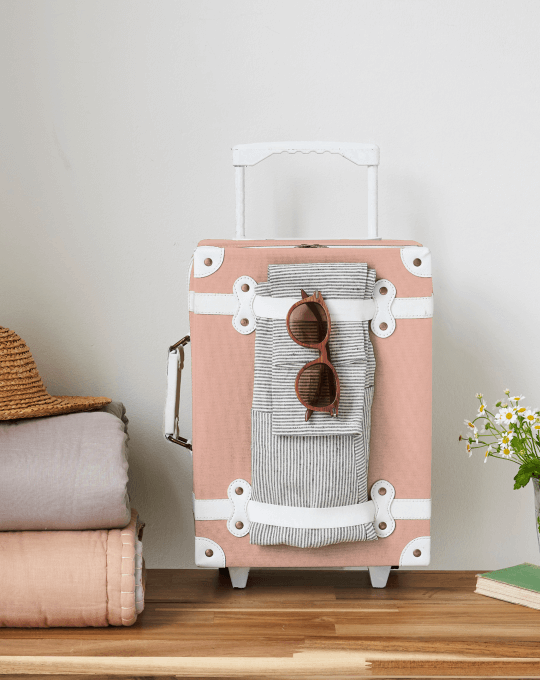 Adorable little storage space for all of your Maileg clothes and accessories. Beautifully made of sturdy metal to last throughout the years. A unique, larger size makes it feel like bunnies really do sneak in at night to do their laundry. 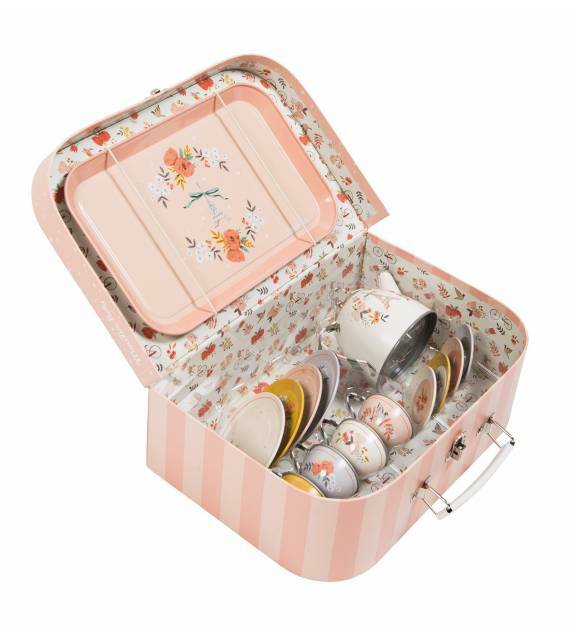 Les Parisiennes Tin tea set in suitcase from Moulin Roty. Metal tea service in a carry-case, in pastel colours with a floral pattern and delicate refined illustrations of Paris by Lucille Michieli : a teapot, four plates, four tea cups with their matching saucers. Ideal gift for a little girl who loves to receive her friends! 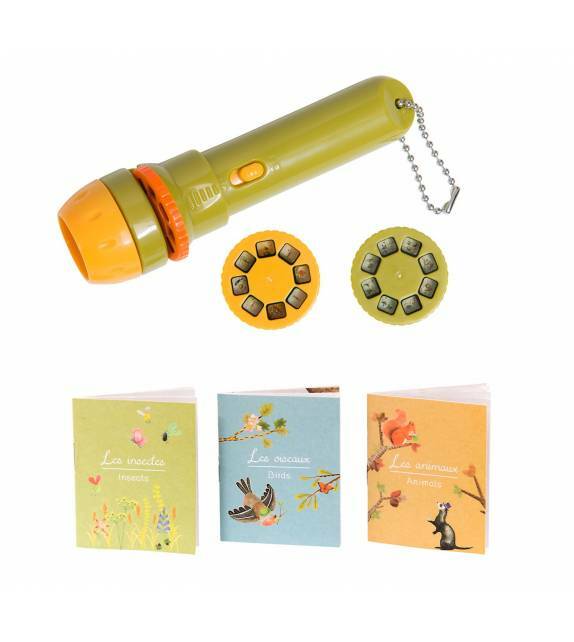 Storybook torch Le Jardin du Moulin by Moulin Roty Discover an original way to tell stories to your little one with this storybook torch Le Jardin du Moulin ; three stories about nature: "Birds build their nest", "The caterpillar story" and "The 4 seasons". Il était une fois Musical Jewellery Box from Moulin Roty. Wind up the key and open the box to make the mouse figurine slowly tune on a sweet lullaby. 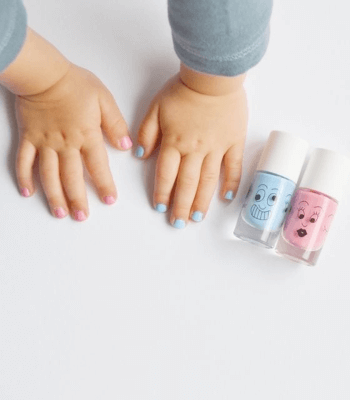 The soft tone will soothe your child before bedtime. Placed on a chest of drawers or on a shelf, it will adorn nicely the nursery. Methacrylate Globe with snow from the collection Il était une fois by Moulin Roty. For the soft texture, the flakes fall very gently and marvel at the little ones with a delicate winter snow. 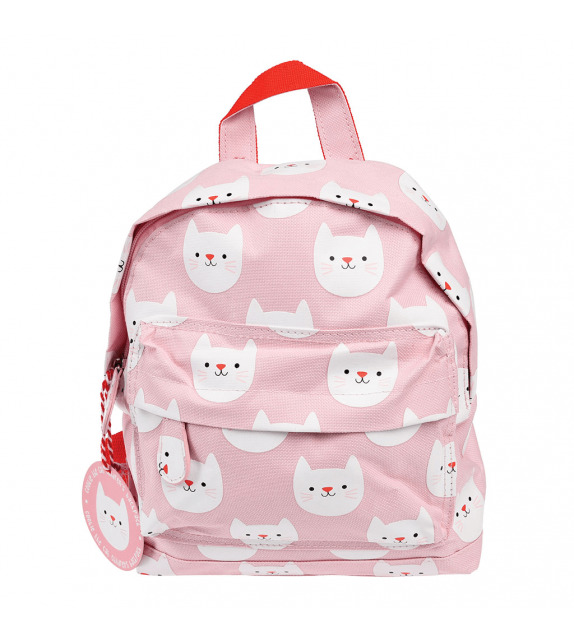 Backpack Mouse Il était une fois Moulin Roty Adorable backpack in the shape of a pink mouse, ideal to accompany your child to the childcare centre or preschool. 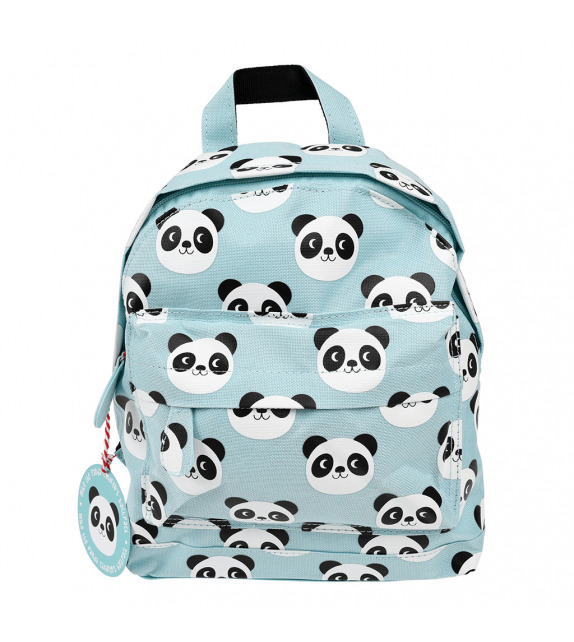 Suitable for toddlers, this backpack is very practical to carry baby's belongings: comforter, clothes or even a snack. This adorable wooden pull toy will encourage baby to walk while having fun. By pulling the cord, he will walk Chaussette the fox around the house. Chaussette carries on his back 2 beautiful birds. 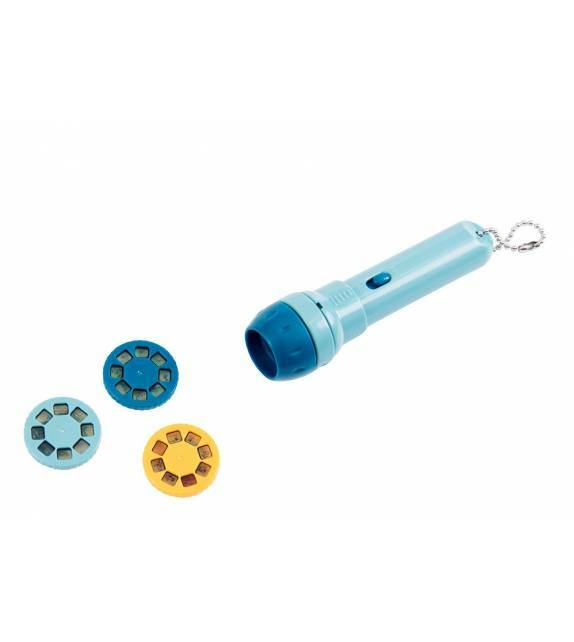 Pull along toys promote good balance and coordination in arms and legs. Nice gift for a first birthday. This rattle featuring Chaussette the fox will be an ideal play companion for your little one. Suitable for small hands, this wooden toy has three plastic rings that tinkles when baby shakes it to surprise and entertain. Discover Chaussette, the fox, admiring the snowflakes falling on his fur. This poetic snowball consists of a blue base and a resin figure, the fox, and behind it, three fir trees with different shades of blue ... A trip that goes into a magical forest! This soft comforter representing Chaussette the fox will accompany your little boy or girl for a good night's sleep. Made with very soft fur, your toddler will love to cuddle him! It has a soother holder to keep the pacifier close to hand. Includes a teether to relieve baby's sore gums. Adorable gift for a new-born.